Interested in joining WLWCA? Please click the button below! Associate Members of the Wisconsin Liquid Waste Carriers Association have opportunities for additional promotion to the 150+ active member organizations and, twice a year, every licensed pumper in the State! Your ad will appear in each issue of the Eco Service Pro (6 issues per year), reaching hundreds of unique, industry contacts! Founded in 1972, the Wisconsin Liquid Waste Carriers Association Inc. is the premier trade organization for Wisconsin’s liquid waste industry. Active members include companies servicing private wastewater treatment systems and portable toilets, and those actively transporting and disposing of liquid wastes. Companies that provide equipment and professional services to the liquid waste industry and officials from all levels of government and academic institutions are encouraged to join as associate members. If you are looking for a company to service your septic tank or to provide portable restroom servicing, please click on "membership" to find a professional in your area. Founded in 1972, the Wisconsin Liquid Waste Carriers Association Inc. (WLWCA) is the premier trade organization for Wisconsin's liquid waste industry. Active members include companies servicing private waste water treatment systems and portable toilets, and those actively transporting and disposing of liquid wastes. Companies that provide equipment and professional services to the liquid waste industry, officials from all levels of government, and academic institutions are encouraged to join as associate members. 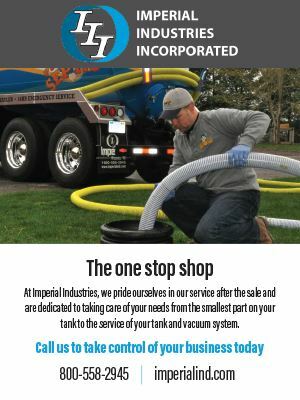 If you are looking for a company to service your septic tank, please click on the directory tab to find a professional in your area. Check out the May/June issue of the ECO SERVICE PRO Newsletter! To renew your WLWCA membership online, please log in using the Email and Password line located in the blue bar in the upper right hand corner of this web page. Simply enter your email address and create a password. Then click on the Membership tab below the blue bar. If you have not previously provided WLWCA with an email address, please call the WLWCA office at 888-782-6815 to register an email address before logging in.